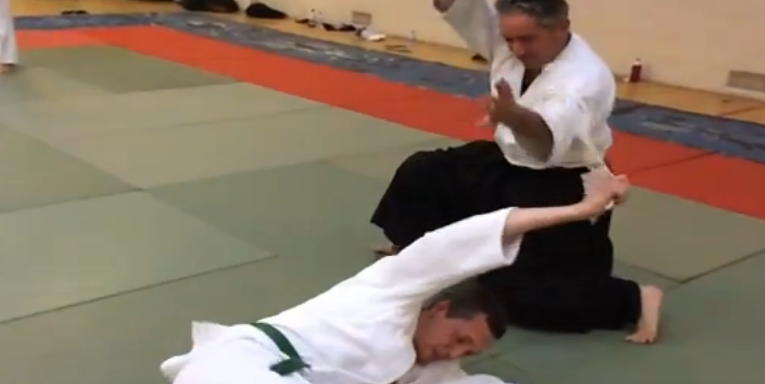 Edinburgh Jitsu was set up in 1996 by Shihan Paul Golz. 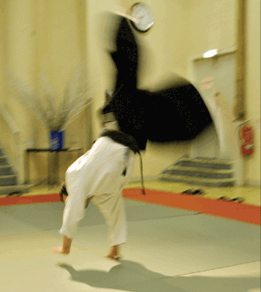 Our style is called (in Japanese) Shin Tai Wa Ryu, which means Co-ordination of Body and Mind. Edinburgh Jitsu is a member of the Central Registered Body for Scotland (CRBS), the body regulating volunteer-led organisations on behalf of the Scottish Government. We’re also a founder member of Club Sport Edinburgh – the Edinburgh Council governing body for sports clubs in Edinburgh. We are passionate about supporting physical activity in Edinburgh. We have around 40 to 50 active members, of which 15 to 30 will be at any one training session. The age range is from 18 to about 50 and around one third of our members are women. We have a relaxed attitude to training – you can come as often or as little as you like. Many of our members have full time jobs and/or children so we try to keep as flexible as we can. We’re a really friendly bunch and we have regular social events. Sensei Ben Reynolds. Ben has been training since 2002 and is a talented and capable instructor. He has a reputation as an excellent and approachable teacher for both adults and children. Ben takes the Friday sessions and most Sunday sessions. Sensei Gunnar Droege has been training with Edinburgh Jitsu since 2006 and teaching since 2015. He holds grades in two different JuJitsu styles, experience in various other martial arts and is passionate about cardio sports. Sensei Gunnar takes Wednesday sessions and some of the Sunday sessions. The head of our style is Shihan Paul Golz. Starting martial arts in 1981 he has taught Ju Jitsu from 1995. In addition to teaching well over a thousand club sessions, he also instructs at regional, national and international level. Currently located in Birmingham, Sensei Golz regularly travels to Edinburgh to provide courses for all levels and ages and there is always an open invitation for us to travel down to England for further specialist training. Edinburgh Jitsu believes passionately in first class instruction and our teachers meet the highest possible standards in sport and education in the UK today.